Whether it’s March Break, summer vacation, or a winter getaway, family holidays are a great way to reconnect and bond. However, all this travel also means long flights, airport layovers, lengthy car rides, and hotel stays, which can sometimes wreak havoc on children’s sleep. Here are my top tips for keeping sleep on track during travel, so your vacation is a rested, healthy, happy one! Going somewhere in a different time zone? My suggestion when travelling to an area in a different time zone is to simply jump into the new time zone and treat it like an ordinary day at home. It may take a few days for things to adjust, but sleep will get on track within a few days in your new place of travel. When you return home, simply jump back into your home time zone. If you’ll be staying at a hotel, a friend’s house, the in-laws, etc., remember that the best way to ensure your little one will sleep well on the road is to create a familiar sleep environment to what she has at home. So, ensure she has a crib or travel-crib to use when you are staying at a hotel or with friends. Remember to take along her sleep bag, her comfort object (if you use one), a sound machine (if this is what your little one is used to), and even a portable blackout blind to make the sleep space very similar to what’s at home. This will help to create a familiar, comfortable sleep environment for her when she’s away from her usual surroundings. Routines are more important than ever during travel! 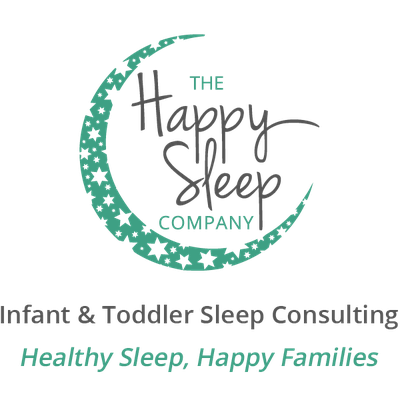 Whether you are putting your child down at a friend’s house while you enjoy an evening of adult conversation, or staying in a hotel on vacation, as you know, consistency is key to your child’s great sleep! So, continuing a consistent bedtime routine each night when you are away from home will help to ready your child for sleep and make bedtime much easier on everyone! 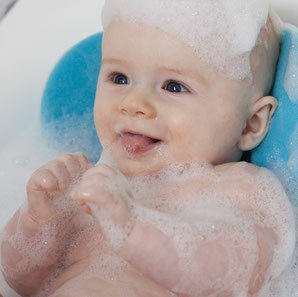 Do a bath if you can or, at minimum, simulate one with a warm, damp cloth and a quick wipe down. Baths are great sleep cues for little ones, so it’s an important step – try not to skip it, along with all the other regular steps of your fantastic bedtime routine! All-natural bath products are my recommendation! Don’t stray from awesome sleep habits! If you are anxious about your child’s sleep during vacation or other travel, it can be tempting to think about using sleep props that you may not have used in a long time (or ever!) like feeding to sleep, or putting your child in your bed with you. If you have created a familiar, comfortable sleep environment for your little one at your destination, she should have no issues with getting great sleep while away from home. If your little one was to wake during the night, however, I don’t recommend pulling her into your bed, as this can create a habit that is VERY hard to break upon returning home, and often results in poor sleep for the whole family. Instead, give your little one some time to try to go back to sleep on her own, and then go to her and briefly reassure her so that she understands she is in a safe environment and you are there for her. Schedule flights for first thing in the morning when babies are their most-rested and most-contented. I suggest you schedule flights for first thing in the morning when babies are their most-rested and most-contented. Do not assume that your child will nap on the flight, but do bring her favourite comfort object (e.g. blankie, soft stuffy) and a book on the plane and let her sleep in your arms if she can. Also, if you have a significant layover, you can try to get your little one to nap in a stroller or baby carrier during this time in the airport between flights. Most of all, do not stress if your baby does not nap at all on the day you travel to your destination – it is just one day, and well-rested children generally bounce back quite easily from these types of “off” days. If (for some reason, and totally against your better judgement!) you allow your child’s sleep to go off the rails during travel, you can certainly get things back on track! When you return home, you will need to be VERY consistent about naptimes and bedtimes, as well has how you handle any protesting that may happen while you are trying to undo what’s been done during vacation. Of course, as always, though, respecting your baby’s sleep as much as possible while on vacation will usually mean a more enjoyable time away for the whole family, and a smoother transition upon your return home.